Once Again, Murderer In Blue Walks Free—This Time In Milwaukee: HOW LONG?!?!? Sylville Smith, murdered by Milwaukee police, August 2016. Murdering pig walks walks free, June 21, 2017. Facebook photo. “We are heartbroken and angry that the criminal justice system has again failed to hold a police officer accountable for killing a Black man," said Christine Neumann-Ortiz, Executive Director of Voces de la Frontera. "Sylville Smith's life matters. He was murdered by the same legal system that racially profiles Latinxs, separates immigrant families through deportation, and labels millions of people of color as criminals. He was murdered by the same economic system that outsources jobs from good paying factories, defunds public schools and healthcare, and evicts and forecloses on Black, Brown, and working class families. We especially urge Milwaukee non-Black Latinx and immigrant community members to protest this verdict. We cannot demand justice for Latinx and immigrant families without demanding justice for Black families separated by the police killings of loved ones." "Estamos tristes y enojados que el sistema de justicia penal otra vez no ha castigado a un policía por matar a un hombre afroamericano", dijo Christine Neumann-Ortiz, directora ejecutiva de Voces de la Frontera. "La vida de Sylville Smith importa. Él fue asesinado por el mismo sistema legal que discrimina en contra de los latinxs, separa a las familias inmigrantes por la deportación y nombra a millones de personas de color como criminales. Fue asesinado por el mismo sistema económico que está cerrando las fábricas que proveaba trabajos buenos pagados, que está cortando fondos de las escuelas públicas y el cuidado de salud y desaloja a las familias de color y de la clase trabajadora. Animamos especialmente a los latinxs e inmigrantes de Milwaukee a protestar este juicio. No podemos exigir justicia para las familias latinas y inmigrantes sin exigir justicia para las familias afroamericanas rotas por los asesinatos policiacas". Once again a murderer in blue has walked free. Yesterday the uniformed killer who murdered Sylville Smith in cold blood in Milwaukee, Wisconsin—as Smith lay helpless on the ground—walked free, acquitted of reckless homicide charges! Sylville Smith was a 23-year-old Black man. Last August 13, 2016, he was simply hanging out when two cops came at him. Sylville ran from them. Authorities released a photo appearing to show him then throwing a handgun he’d been carrying over a fence. Pig Dominique Heaggan-Brown shot him in the arm. Sylville fell down. Seconds later, Heaggan-Brown stood over him, and from inches away shot Sylville point blank in the chest, murdering him. 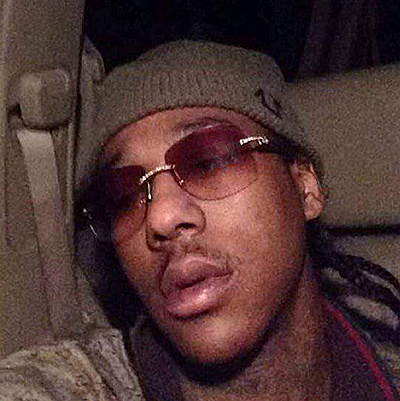 Smith was unarmed and on the ground — “hands up, with no place to go,” the prosecutor said. Later that night, after he murdered Sylville Smith, Heaggan-Brown went to a bar and “bragged about being able to do whatever” he wanted “without repercussions,” then sexually assaulted a man, the New York Times reports. But still this foul, murdering pig, who happened to be Black and wearing a body camera walked!! Why? Because police are the armed enforcers of this system and this whole system is set up to justify and exonerate their murders! In Milwaukee those police procedures demand that police expect anyone who has a gun to have another, and to “use deadly force until a suspect was no longer a threat,” the cop’s lawyer said. In other words dead. Now the Trump/Pence regime and its Attorney General Jeff “KKK” Sessions are declaring that there should be even fewer of the already-minimal investigations or restraints on these murderers in blue! Last year, righteous rebellions broke out after Sylville’s murder. Right now it’s urgent that people protest this outrageous police murder and acquittal.